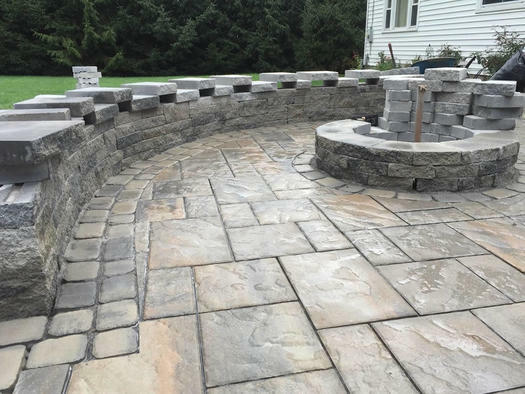 Project: Katahdin Stone Works, a hardscaping and landscape construction services company (think patios, fire-pits, retaining walls, etc.) that is looking to become the leader in the area for environmentally friendly permeable pavement installations. My name is Kelly Maloney and I am the owner and operator of Katahdin Stone Works. I offer hardscaping and landscape construction services (think patios, fire-pits, retaining walls, etc.). My first job was as a groundkeeper at a nursing home when I was 15 doing maintenance and gardening. Soon after, I found a job as a laborer on a hardscape crew where I shadowed the lead stoneworker for three years, carrying bricks for him, before he even allowed me to set one stone myself. I watched and learned the 'ins-and-outs' of the trade and, over time, I learned a skill that gave me job opportunities from the backyards of brownstones in New York City to farms in Oregon, and, now, Albany. In 2016, with over 15 years of experience in the industry, I decided to start Katahdin Stone Works (named after the highest peak in Maine); I went full-time with the business at the beginning of 2018. I have been trying to make a good name for myself in the Albany area by giving all projects my individual attention, customized based on what my clients want. I am working with the Albany Law Clinic (free advice and assistance from law students (thanks for the tip, Max)) to file for my LLC and will be applying for a woman owned business certification this winter. These efforts have gotten me to a place where I feel ready to enter the next phase with my business. While I love creating beautiful outdoor spaces for residences, I ultimately want to make Katahdin Stone Works more environmentally friendly. With the current rate of climate change and the need for better stormwater management practices (you saw all that rain this summer), green infrastructure and permeable pavement installations are even more important services I can offer. My vision is to become the leader in the area for permeable pavement installations. Getting to that point may be 5-10 years down the road, but I have started making progress in the right direction. 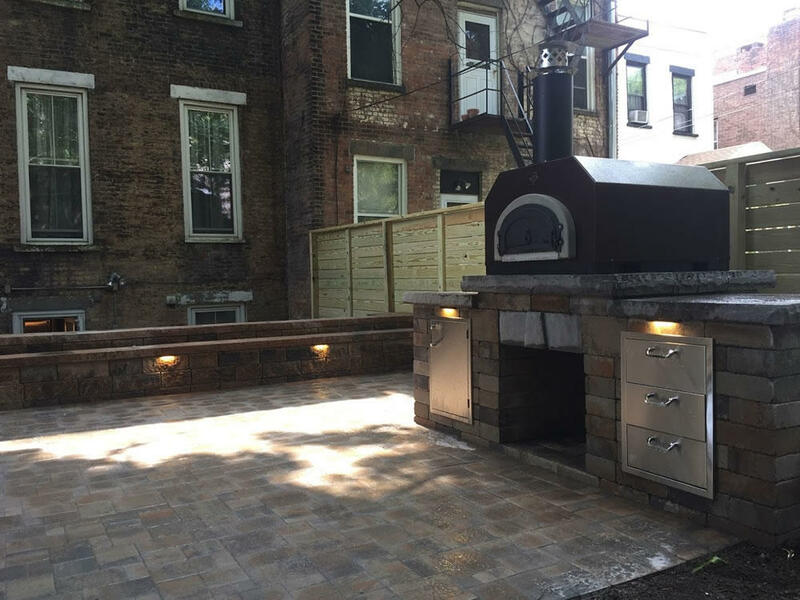 I work with my customers to educate them about permeable pavers with the hope that they request the use of those materials in their projects. I use social media as an educational source as well, posting about the benefits and purpose of permeable pavement. Rather than hard, compact, and impenetrable base materials, I have changed my installation practices to include all open graded aggregate as my base for better infiltration. To truly 'green' Katahdin Stone Works, I not only have to install more eco-minded projects, but my construction practices need to follow suit. The AOA grant money will be used in the purchasing of a dustless masonry saw. 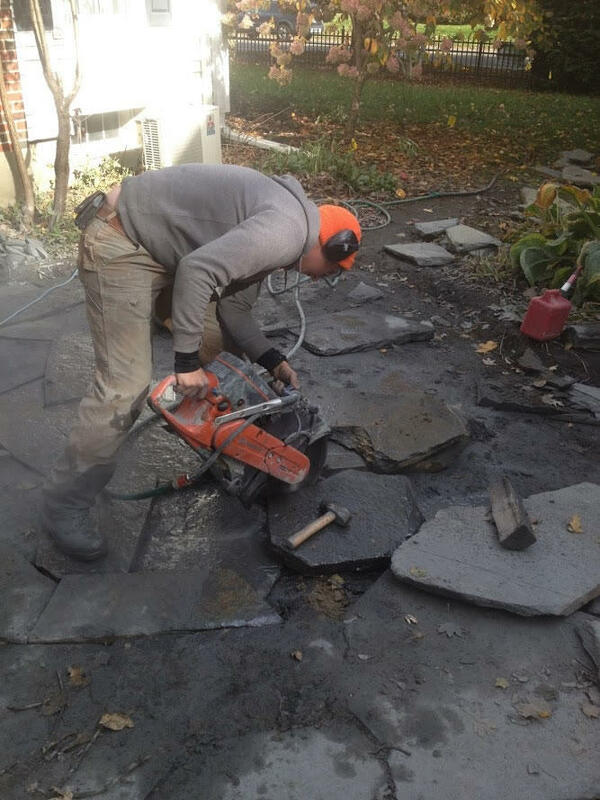 Cutting concrete blocks and pavers is a large part of my job. Whenever I cut stone, large amounts of concrete dust and silica are produced. Silica dust is linked to long-term lung issues (lung disease and lung cancer). While I always wear a face mask while cutting, that only protects myself; the dustless saw will reduce exposure to this dust by over 99% protecting both myself and anyone else in the area. 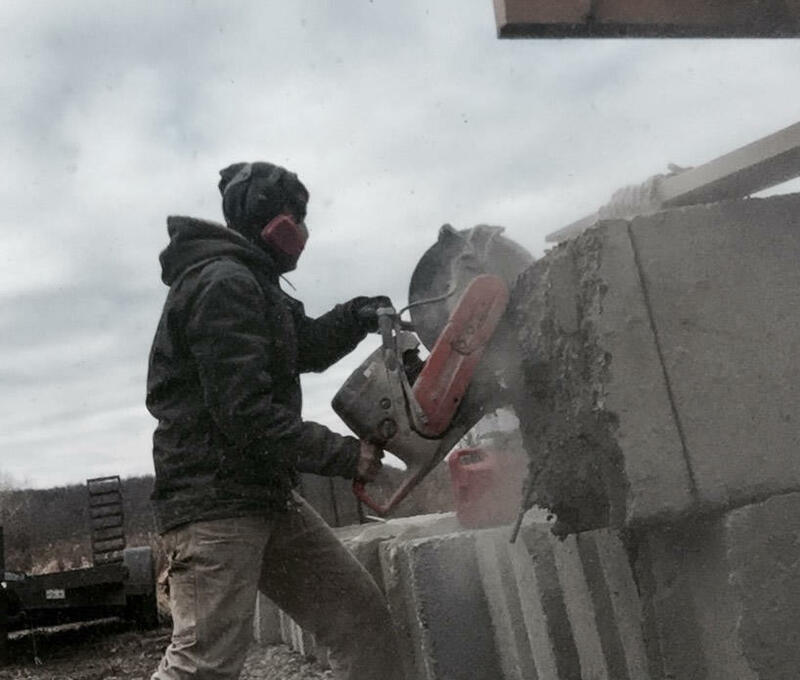 The tool I use currently is a traditional masonry saw; the dust is suppressed by running fresh, clean water constantly through it while cutting. This keeps the dust down, but it creates other problems. Generally, the worksite becomes very muddy making it messy and sometimes dangerous for me to maneuver. The other major issue is that a large amount of clean water is being wasted. I cannot justify my promotion of green infrastructure if my own practices are wasteful. The dustless masonry saw uses no water, conserving this resource while also eliminating safety concerns.